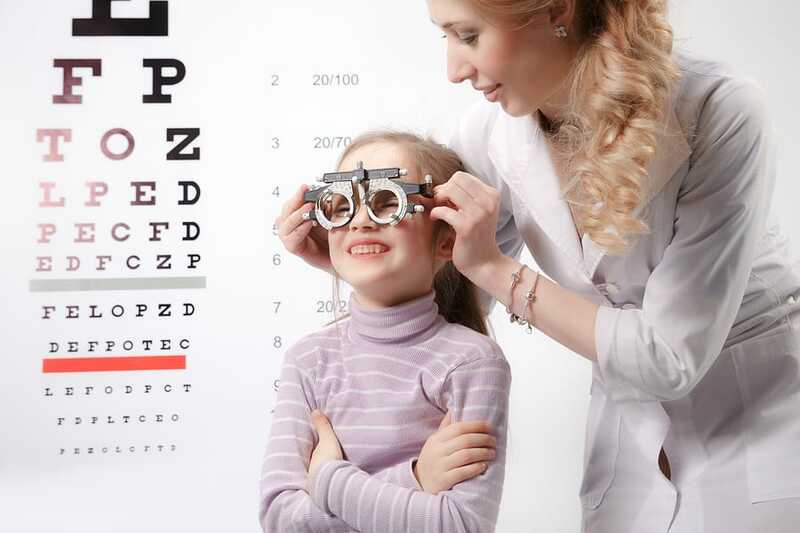 Children’s eye care is, of course, a large concern for many parents, especially because there are many vision problems that can manifest early in a child’s life. If your child does have vision problems at an early age, it’s vital to discover this as quickly as possible. Uncorrected childhood vision problems can quickly lead to problems in school, social issues, and numerous other problems in day-to-day life. Here are some of the top symptoms to watch for. 1 – Crossed, wandering or otherwise “lazy” eyes. Around 5% of children have a hard time properly moving their eyes together and focusing on the same thing. If your child has a wandering eye, it’s vital to get them to an eye doctor for treatment. If left untreated, a lazy eye will become weaker over time, making correction continually harder to achieve. 2 – Reading or identifying things below their grade level. There are many problems, visual and neurological, that may contribute to delayed reading ability. However, undiagnosed vision problems are actually one of the TOP causes for this! Simply getting your child a pair of glasses may radically improve their school performance. 3 – Squinting in one or both eyes. Squinting has always been one of the main symptoms of myopia (short-sightedness), and that’s also true for children. Be especially aware if they’re developing a squint in one eye. This could indicate their eyes’ focal abilities are significantly different, such as one eye being 20/20 and the other 20/80. 4 – Constant headaches or eye pain. If your child often complains of headaches or eye pain when reading, doing homework, playing portable video games, or other close-up activities, that’s a big red flag for vision problems. If their eyes can’t focus correctly, their brain will be doing “double duty” trying to make sense of unfocused images. Remember: Children have no way of knowing they have vision problems, because they only know what they see. Keeping an eye out for these symptoms will help ensure good children’s eye care for years to come!